Providing you the best range of calcium nitrate with effective & timely delivery. Our clients can avail from us Calcium Nitrate which is used as a source of calcium and nitrate – nitrogen for high value horticultural crops. These are also used as a solid fertilizer for side dressing and high value horticultural crops such as market gardens and berry fruit crops. 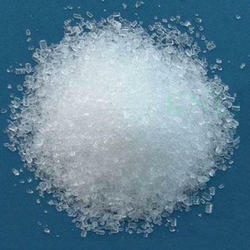 In addition to it, calcium nitrate is highly soluble in nature.